Research shows the average American gains seven pounds between Thanksgiving and New Year’s – then spends the next several weeks trying to undo the damage. 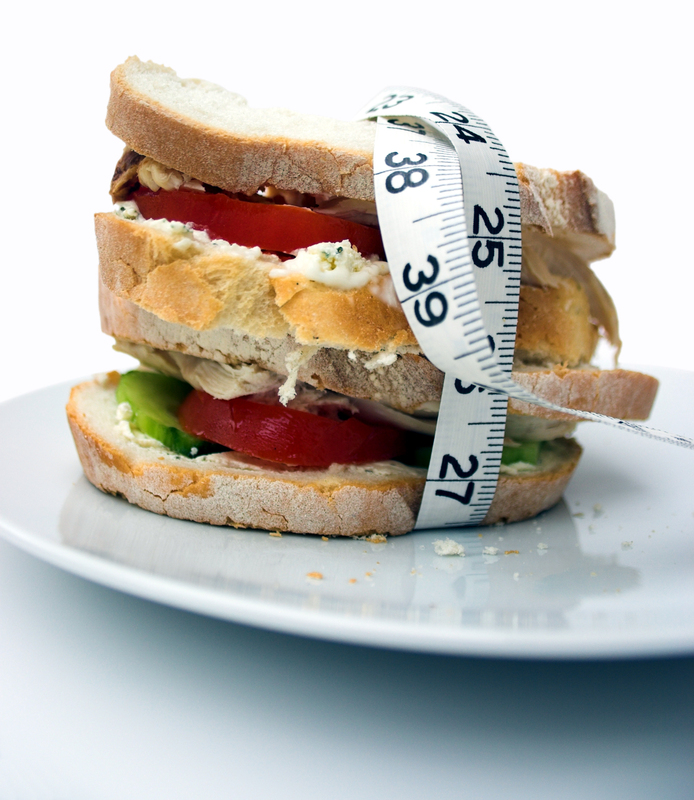 Unfortunately, most people struggle to lose the weight and don’t shed all of it. We suggest these ten strategies for keeping your waistline in tact during the holidays. Drink plenty of water. Our bodies consist mostly of water – our most essential nutrient. Drinking cold water serves as a mild appetite suppressant and burns calories to warm it up to body temperature. Skip the donuts, muffins and cookies and go for fruit and veggie snacks instead. Apples, oranges and carrots may not sound like a treat, but they’re actually very satisfying and go a long way in preventing calorie overload. Dried fruit like prunes, figs, dates and raisins are also great choices – they’re low-fat, packed with fiber, and satisfy a sweet tooth. Eat a smaller lunch on days you have dinner events. You don’t want to end up standing in front of a buffet table starving, but eating less at lunch helps balance out a bigger dinner, calorie-wise. Try eating a protein-rich meal at noon to help keep you full until dinner. Choose food wisely at events and parties. Don’t be afraid to be different! Go for low-fat entrees, like broiled fish or baked chicken. Pick healthier soups and salads with light dressing. Use butter and cheese sparingly, and skip the heavy gravy. Opt out of dessert sampling. Holiday events usually feature plenty of sugary and chocolate-laden goodies, and it’s hard not to take one of each – in some cases just to please the people who made them. Find the one dessert that looks the best to you, and leave it at that. Most of your friends will understand, and even follow your good example. Take off at a decent hour. Staying all night at parties causes sleep deprivation (already rampant around the holidays), and can lead to extra indulgence in food and drinks. Stay long enough to have a good time, but don’t be afraid to be the first to call it a night. Avoid or limit alcohol consumption. Drinking alcohol at holiday gatherings can drastically increase your calorie intake – and it often leads to overeating. Before you go for a cocktail, keep in mind that alcohol contains almost as many calories per gram as fat. It’s best to avoid drinking altogether, or stop at one. Incorporate daily aerobic activity into your routine. This will condition your cardiovascular system to burn extra calories. For example, a 30-minute walk requires about 200-250 calories, depending on your bodyweight and walking pace. Build 2-3 sessions of strength training into your schedule each week. Like cardio, strength training conditions your body to burn more calories. 30 minutes of strength training also burns 200-250 calories, but bonus: working out with weights accelerates your metabolism all day long. In a Tufts University study, a season of strength training produced a 7% increase in resting metabolic rate and a 15% increase in daily calorie requirements among the senior men and women who participated. Tell a family member, friend, or coworker about your plan for avoiding holiday weight gain – and ask for their help implementing it. Your partner in prevention should be someone who encourages you and sets a good example of healthy holiday eating and exercise habits. It’s easy to rationalize overeating during the holidays by planning a New Year’s resolution to drop the extra weight. But in reality, most people don’t lose all the extra holiday pounds – and it can lead to long-term health problems like heart disease and diabetes. Even those who do lose the weight can still face high cholesterol levels and other serious issues. Take a sensible approach to nutrition and exercise throughout the year and during the holiday season – come January, you’ll be glad you did.